Many of the greatest discoveries in genetics and genomics have happened right here at the University of Wisconsin-Madison, including cracking the genetic code, sequencing of one of the first bacterial genomes, synthesis of the first gene, development of targeted gene knockout methods in mice, and much more. As the first Genetics department in the nation, UW-Madison is highly regarded for its research contributions in diverse areas of genetics, a number of which have led to Nobel Prizes. More recently, the University of Wisconsin and the Laboratory of Genetics have developed a major initiative in Genomics that incorporates many biological, mathematical, and engineering disciplines. Genomics encompasses genome and epigenome characterization, comparative genomics, functional genomics, and bioinformatics. An undergraduate degree in Genetics and Genomics at the University of Wisconsin-Madison provides students with high-quality educational training in a discipline that is at the heart of many issues facing society today. 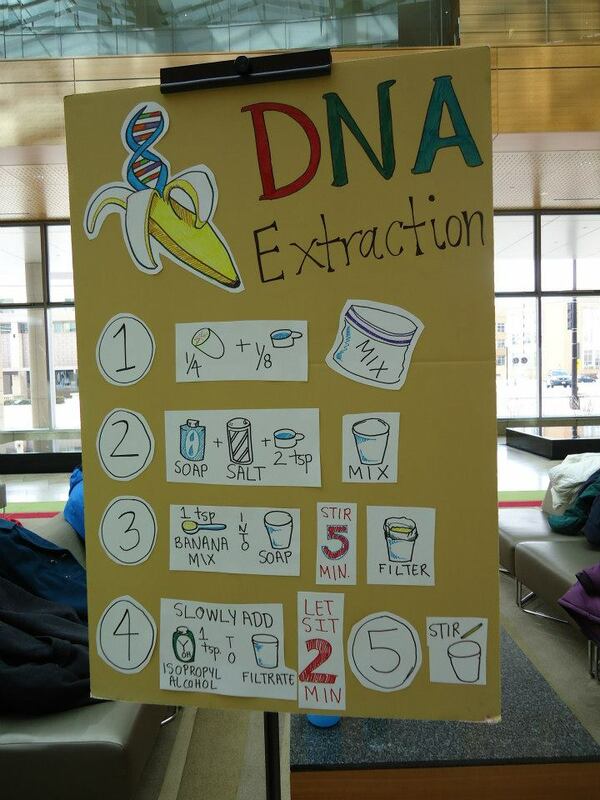 Genetics and Genomics majors are well prepared to become a part of the current genetics and genomics revolution. A diverse curriculum that exposes students to a variety of courses covering the general concepts of genetics and genomics, along with specialized classes that delve more deeply into specific systems (such as Human Genetics, Plant Genetics, Population and Quantitative Genetics, etc) or biological processes (such as Developmental Genetics, Neurogenetics, Cancer Genetics, etc), and exposure to bioinformatics, statistics and other methods of quantitative trait analysis, will provide you with a solid knowledge that will help you and those around you make informed opinions and decisions in regards to genetics and genomics, their many applications for the betterment of our society, and their possible ethical implications. Our program also offers a multitude of research opportunities in world-renowned laboratories that utilize the tools of genetics, genomics and epigenomics to study important biological questions in a variety of model organisms including bacteria, yeasts, worms, fruit flies, zebrafish, mouse, humans and plants. Additionally, a study-abroad program offers international research experience opportunities. Overall, our program will provide the foundation for exciting careers in research, medicine, education, agriculture, biotechnology, science and environmental policy, and/or science ethics. So, if you have ever been curious about how it is that humans or individuals of any other species tend to resemble their close relatives more than unrelated individuals, how all of the information for life is contained in DNA, how it is possible that all 70 trillion cells of the human body contain the same DNA sequence, yet perform the diverse functions of complex organisms, or wondered why our eyes thankfully don’t produce the same hydrochloric acid that our stomach cells do and use to digest our food, then you too should join our diverse community and become a part of the scholarly contribution to Genetics and Genomics at the University of Wisconsin-Madison and beyond. Genetics and Genomics students complete a two-semester general genetics sequence (Genetics 467 & Genetics 468) followed by upper level specialized coursework. Students will also complete prerequisite coursework in biology, chemistry, physics, calculus, and biostatistics, in addition to college and university requirements. Requirements, course descriptions, and additional information can be found in The Guide. Examples of upper level specialized coursework include: Human Genetics, Epigenetics, The Genomic Revolution, Plant Genetics, Population Genetics, Animal Developmental Genetics, and Neurogenetics. 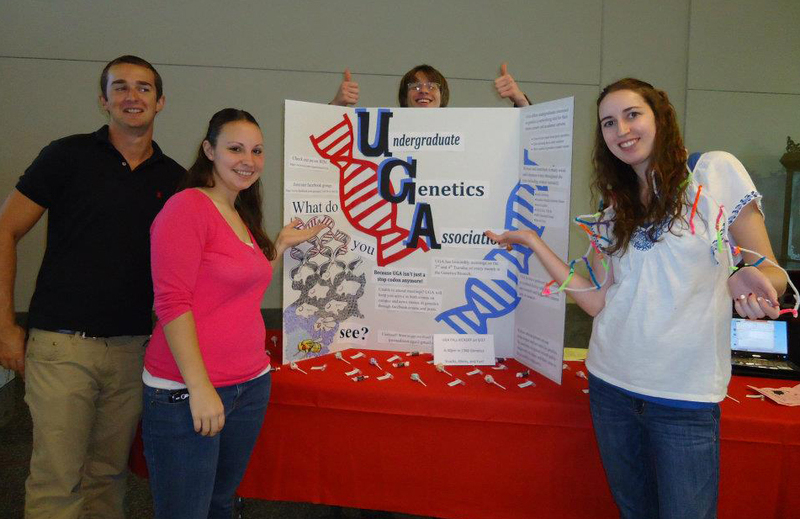 Undergraduate Genetics Association (fondly known by the stop codon UGA) is a student organization at the University of Wisconsin – Madison run by students under the supervision of genetics faculty. UGA typically meets biweekly in the Genetics/Biotech building on campus. The organization is open to anyone with an interest in genetics, biotech, bioethical issues, etc. At meetings, UGA often brings in guest speakers including faculty guests to share their research or professionals working with a basis in genetics or in careers with applications from genetics to talk about their career paths. Other meetings include socials like movies and rock climbing, ethical discussions, peer advising networking and resources. We encourage many opportunities for involvement, including volunteering for annual events like the Haunted House and Darwin Day. There are hundreds of faculty on campus using genetic strategies in their research. Undergraduate genetics and genomics majors have the opportunity to gain hands-on experiences in these labs through mentored research experiences. They gain valuable lab, critical thinking, communication, and teamwork skills that will help them in their future endeavors. Many students practice presenting their research accomplishments at campus symposiums and national and international conferences. In addition, many have their research published in scientific journals. To connect with a potential mentor, decide on a research area and utilize the steps and resources provided on the Biocommons website to contact them. There are many study abroad opportunities offered through the College of Agriculture and Life Sciences and International Academic Programs . Many programs offer science coursework that can be used for degree requirements. Students have participated in programs in China, England, Ireland, Australia, New Zeeland, France, Thailand, and Spain among others. Starting for Spring Break 2019, Genetics Professor Francisco Pelegri will lead a study abroad program in Costa Rica to study banking animal biodiversity. Students will experience local biodiversity in three diverse locations of Costa Rica while conducting team-based assessments towards global animal biopreservation efforts. Please use Scheduling Assistant to make an appointment with Carin. Please use Scheduling Assistant to make an appointment with Lauren. Please use Scheduling Assistant to make an appointment with Kit. Please use Scheduling Assistant to make an appointment with Katie. Genetics and Genomics majors are assigned an advisor and should see that advisor listed in their Student Center, but may meet with another advisor if they choose. Advisors are not available for drop-in assistance, please schedule an appointment using the links above. If appointments are unavailable or the matter is urgent, please email or call. Prospective students currently on campus, can make an appointment with an advisor using Scheduling Assistant. Advisors are not available for drop-in meetings, however, may meet with prospective students via appointment. Information for health careers including pre-med, pre-nursing, pre-vet, and pre-physical therapy including course suggestions. Information about resume writing, interviewing, networking and other aspects of the career and job search. Job and internship listings and information about companies. Information about CALS related study abroad programs. Information about study abroad programs. Resources to help undergraduates navigate the biosciences at UW-Madison including BioCommons, Engage Children in Science, Entering Research Course Series, Exploring Biology, IMPACT Peer Leaders, and Exploring Service in Science.